Annunciation Orthodox School is dedicated to learning through play and taking risks, building perseverance and a genuine love of learning while nurturing the unique qualities of our students. 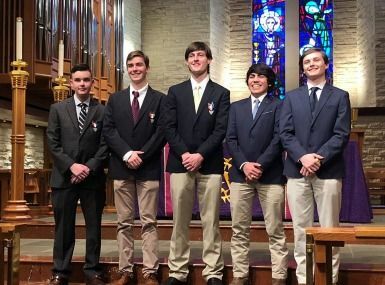 A visit to AOS will reveal that our students are filled with joy and love (κέφι) for their school, their learning, and one another. Come and see what κέφι feels like at AOS! The week of April 14 the Jones Center and Kindergarten classes got into the Easter spirit with their very own egg hunts. An event for both students and parents, this joyful activity concluded with a picnic lunch. 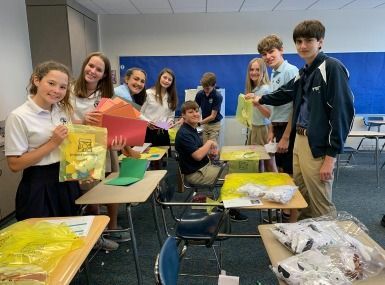 To spread their Easter joy, Middle School students assembled 70 Easter baskets the week of April 8 to be distributed to the children at the Children's Assessment Center. 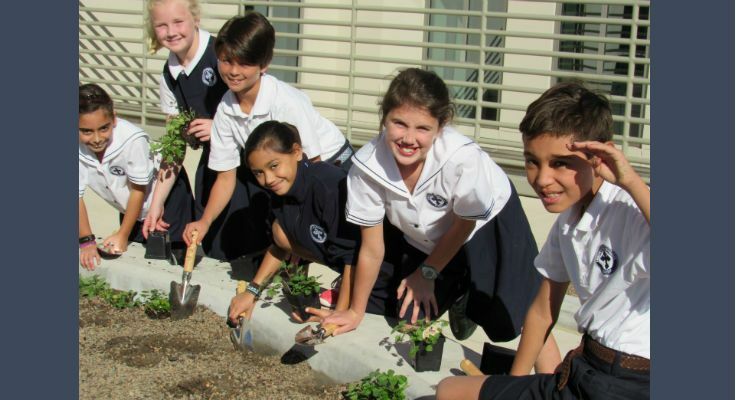 Our Middle School students wrapped up their final service learning project on April 9. Through this project, they learned about the work of Project Sunshine and assembled craft kits for hospitalized children. Thanks for spreading sunshine to others! 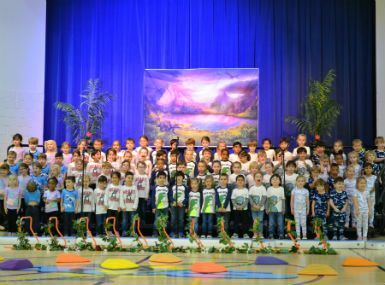 AOS fills every space with a sense of joy and love that inspires students and builds confidence.